Twin impeller centrifugal pump manufactured from cast iron, and brass impellers for heavy duty oparations (other materials on request). Quiet pump with wide working curve. 2-pole induction motor with starting capacitor and thermal protection built into the motor in single-phase version. 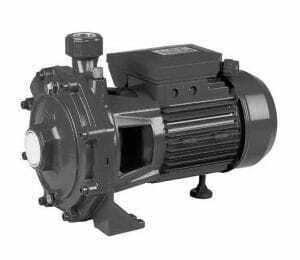 The main applications of these pumps are to work with hydro pneumatic booster sets for automatic water supply. Filling tanks and for agricultural irrigation facilities.